Happy Friday my Creepy Crawlers!! Today I have an interesting book I can't wait to share with you. I have had Roland on here before, and I have to admit his writing style is addicting. So sit back, and let's all take a look at his book: Oddities and Entities. 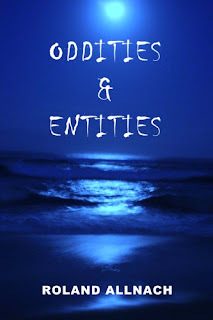 Oddities & Entities is a surreal, provocative anthology of six tales within the supernatural/ paranormal/horror genres, exploring a definition of life beyond the fragile vessel of the human body. The stories are: Boneview, in which a young woman struggles to balance her ability to see through people with the presence of a supernatural creature in her life; Shift/Change, inwhich a hospital worker struggles to regain his memory as he is confronted by a series of desperate people; My Other Me, inwhich a lonely college student finds himself displaced from his body by his alter ego; Gray, in which a frustrated man is stunned to discover a little creature has been living in his head; Elmer Phelps, in which a brother and sister find themselves linked in a strange reality by a bat bite in their youth; and lastly, Appendage, in which a cynical mercenary is hired by his son to protect a research lab on the verge of a stunning discovery. Before Allison knew the meaning of words or the context of visions, she knew the Curmudgeon. It was there, lodged in her earliest memories, the memories that imbed themselves deep in the psyche to shadow all future memories. When she lay in her crib as a pale and lumpy baby, she didn’t know to cry when it came in her room, when it passed through her walls as if their existence were some unsubstantiated rumor rather than studs, slats, and plaster. And though at any greater age she might have cowered and screamed, in her unclouded infantile mind there was no reference for fear or judgment, only the absorbance of what was. Perhaps the Curmudgeon knew this but, then again, perhaps not. As the years passed, it was a matter of little importance. her narrow face, their luminous, sea green irises formed tidal pools about the tight black dots of her pupils. Her stare was one that few could bear for long. Children and teachers alike found her unblinking silence a most uncomfortable experience, and her mute distraction in school led to the inevitable conclusion that she wasn’t very bright. She had no friends. Her world, though, wasn’t as lonesome as it may have seemed. Curmudgeon would leave their cleaned skulls on her windowsill as gifts when the moon waxed in silvery twilight. with her, dancing naked as well, the strange designs tattooed down his back often blending with the swaying lengths of Spanish moss. They claimed to be moon cultists, though Allison had no idea what that meant. It was of no matter. Soon enough they became part of the night, passing to her dreams forever. plans for the next weekend. Even at her young age Allison could tell her grandmother humored them. Her parents didn’t have a false bone in their body, but they were not reliable people. Free spirits, her grandmother would say. Yet as those thoughts rolled about Allison’s head her eyes seemed to blur, and she stared at her parents with that unnerving, unblinking gaze of hers. Her heart began to race, her skin tingled, and then it came to her: not a shadow, but a different kind of light than the sun, a light that seemed to seep from within her parents, until the tactile periphery of their bodies became a pale shadow over the ivory glow of their skeletons. the smooth ivory like running rivers of ink, until every bone in their bodies was broken to jagged ruin. Her grandmother called her name, snapping her out of her stupor. She blinked, then screamed and ran from the table to the living room. Her parents and grandmother came after her, but she buried her head under the couch pillows. Despite the pillows, the moment she opened her eyes she could see them, right through the pillows and couch, standing there in their shattered translucence. She ran for her room, scratching at her eyes, and that was when things changed. Her grandmother charged after her, following her to her room, and tore through every drawer until she found the small collection of skulls Allison kept—the tokens the Curmudgeon had left her. Her grandmother stuffed her in her closet, closed the door to her room, and sat outside the door. She could hear her grandmother’s voice, even in the dark of the closet. She clamped her eyes shut; it was a desperate final measure to blot out the sight of her parents. She could see them, through the walls, through the floor, through the trees, as they hopped on her father’s motorcycle and raced off. She screamed for them to stop, but she was a child with a trifling voice, stuffed in a closet. Roland Allnach has been writing since his early teens, first as a hobby, but as the years passed, more as a serious creative pursuit. He's an avid reader, with his main interests residing in history, mythology, and literary classics, along with some fantasy and science fiction in his earlier years. By nature he has a do-it-yourself type of personality, and his creative inclinations started with art and evolved to the written word. 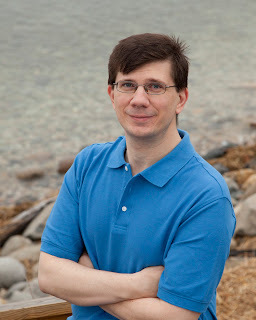 Since making the decision to pursue a career as an author, he's secured publication for a number of short stories, received a nomination for inclusion in the Pushcart Anthology, built his own website, and in November 2010 realized publication for an anthology of three novellas, titled Remnant, from All Things That Matter Press, followed in 2012 by his second anthology, Oddities & Entities, also from All Things That Matter Press. Both books have gone on to receive a number of national awards, including National Indie Excellence Awards, Readers Favorite Book of the Year Awards, and USA Book News Best Book Awards. His writing can best be described as depicting strange people involved in perhaps stranger situations. He prefers to let his stories follow their own path. His writing is sometimes speculative, other times supernatural, at times horror, with journeys into mainstream fiction, and even some humor- or perhaps the bizarre. Despite the category, he aims to depict characters as real on the page as they are in his head, with prose of literary quality. His literary inspirations are as eclectic as his written works - from Poe to Kate Chopin, from Homer to Tolkien, from Flaubert to William Gibson, from Shakespeare to Tolstoy, as long as a piece is true to itself, he's willing to go along for the ride. He hopes to bring the same to his own fiction. This is definitely a book for horror and suspense fans alike. There are six tales within this book that will startle, surprise, extremely creep you out, upset your stomach and yet will draw you in with this malicious type of horrible fascination that is indescribable. Having read a previous work by this author, I was prepared but still shocked at the depth of his writing. Even through the goriest parts of the book (and there are a few), you are simply held captive by the story itself. It is as if it grabs you and refuses to allow you to look away. I could summarize all the stories, but it will never prepare you for the book, or for as much time as you will spend contemplating on it when it is done. This book is sure to deliver on all the horror aspects you come to love, and a few that will just shock you. I love way this author writes. It stays with you long after the book is closed and the chapters have ended. A must read for all lovers of the dark and creepy!! Giveaway!! 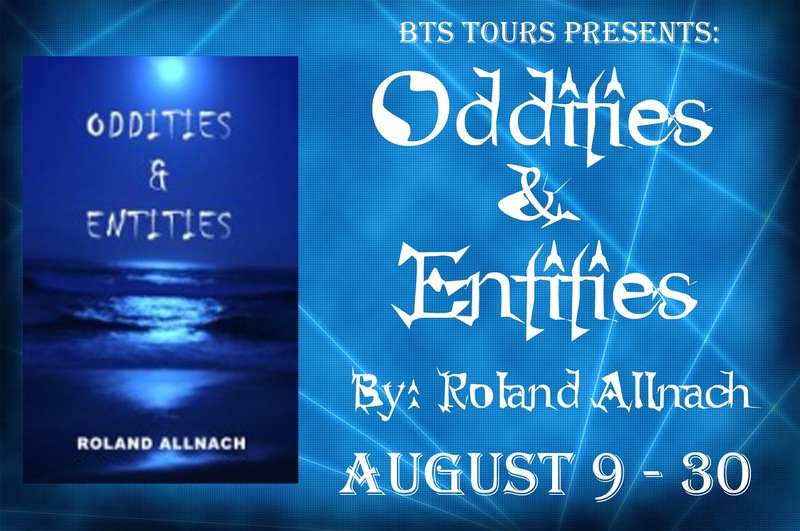 Roland is giving away a $50 Amazon card and an autographed print copy on this tour! I love paranormal... just not so sure about the horror. :) Thanks for sharing. Gorgeous cover! The post makes it sound like this is a book I must read! Got my fingers crossed to win this. I can see it sitting on my bookshelf right now! Thanks for the great giveaway. I like paranormal reads, this one looks intriguing. Thank you! I love anything supernatural/paranormal, so this one's just right for me. What a very interesting blurb. Thanks for sharing! Interesting blurb and synopsis. Intriguing would be a better word. Thanks for sharing with us! Sounds interesting. Thank you so much for sharing. Love the over. And the stories sound like something I would really enjoy! This sounds like an interesting read. I like paranormal however the horror isn't something I like reading about. Will have to add to my wish list. Hello everyone! Well, I have to say I am truly flattered by the interest everyone is expressing for my creepy little book. 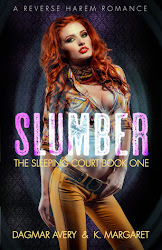 Of course I have to thank Nikki for a great review, and for stressing the layered aspects of the stories. Any questions out there, please feel free to ask away. Happy reading! Now we'll all find out we have little creatures living in our heads. All of the stories sound like A+ reads. I enjoyed the excerpt too. What is second favorite color? Love paranormal, would like to read this. Thanks. This book sounds so interesting yet kinda scary at the same time. I am excited to read this and would love to win! Thank you for the amazing giveaway! Are residents from the UK allowed to enter the giveaway? Wow, very interested to read this book. I love paranormal and horror so I think it is a very good fit for me. Thanks for the giveaway and the excerpt! Such a **WOW** excerpt thank you. What a ride I'm in for. When reading paranormal books, I prefer romance, but I think I could give these stories a try. My interest in colors? I don't really have a single favorite color, although I do like black clothes, but that's just my fashion impairment :). I look at colors as one part of the collective experience that embodies an impression, so color like any other part has to fit in the overall scheme a certain way. Different situation, different color. Regarding the cover of the book, I had a general idea of what I wanted, involving water, sky and moon to symbolize different yet coexisting realities, a theme that runs through the book's stories. My publisher came back to me with the cover that you see on the book, and I loved it. 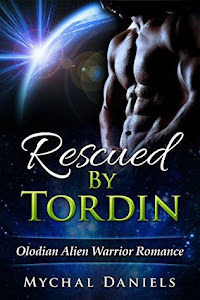 Paranormal and romance? Well, this certainly isn't a 'romance' book, but relationships do play a very important part in each story. Or, perhaps I should say various dysfunctional relationships. As people we partially define ourselves in the ways we interact with others around us, so to introduce elements beyond the everyday and not discuss the impact on human interactions leaves the most interesting part of the story on the sideline. Besides, the effect on relationships can do more to relay the story on a humanistic level by personalizing the experiences of the characters. Last but not least, yes, the book is a mix of various genres. I don't like to quarantine stories in one genre or the other, I prefer to let them propel themselves to whatever extents they require to reach their own final maturation - no matter how strange they may be. I'm happy some of you say that you're enjoying the excerpt. I think it represents the book's tone very well, so if it meets your taste, the rest of the book should be a satisfying experience. Sounds interesting. Thanks for the giveaway. I love horror stories and I love short stories so this is definitely going on my reading list. It sounds right up my alley. Thanks for bringing it to my attention! some of these storie sound like tripy mind trips.can't wait to trip out. Sounds like this might be right up my alley. Thanks for the giveaway! Thank you all for your continued interest. 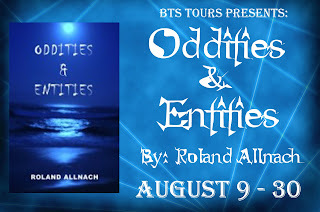 Yes, 'Oddities & Entities' does take a strange road to certain parts of the mind, where I hope the stories will burrow in and provide lingering food for thought. O.O Wow...that excerpt. DEFINITELY want this! :D Thanks for the giveaway and for another book to add to my TBR! sounds great! thank you for the giveaway! I'm flattered and very happy everyone's enjoying the excerpt. In my author's opinion I think it gives not only a great preview of what's to come in the book, but a good taste of the general tone of the book. "Boneview" also happens to be one of the favorite stories I've done, which is one more reason why I gave it the opening slot in the book. Halloween will be here before we know it, and I'm looking forward to putting together ideas for a second volume of 'Oddities & Entities'-type strangeness, perhaps for late 2014.